Does anyone remember this machine? I think it used to be situated near the corner of Union Lane and West Street. This page was added by Mave Sipple on 28/08/2012. The machine used to sit outside the old B.P petrol station, which is now the Sainsbury's Local. 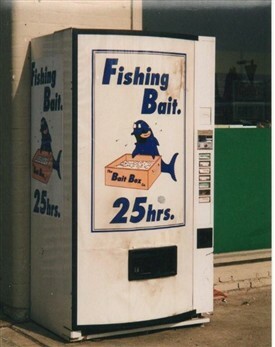 Used to use it when we were kids and went fishing over at the reservoir.